Summer is well under way, and it seems like the kids and I are busier than normal with summer camp, beach trips etc. I have taken the kids to lots of free activities already, and it is amazing how many free events can be found in South Florida. When: Friday, July 1st at 5 p.m. When: Friday, July 1st 8 p.m. When: Saturday, July 2nd 11 a.m. - 4p.m. Event Details: Family Fun Zone Beach Bash: Happy Birthday America Party with DJ and kids activties including craft corner. Parking: Additional parking and shuttle at Walmart parking lot. When: Saturday, July 2nd 4 - 5:30 p.m. When: Sunday, July 3rd 11 a.m - 2 p.m. Event Details: Entertainment: Country artist Shane Duncan. Free family activities include bounce house, climbing wall, petting farm and arts and crafts. Independence Day birthday cake will be available for residents while supplies last. Food will be sold. Event Details: Free concerts all day, a variety of food vendors, and a spectacular fireworks display launched from the Deerfield Beach International Fishing Pier. FREE event with complimentary shuttle service from locations west of the Intracoastal. Parking on the barrier island will be extremely limited during the event. Complimentary parking will be available at the Cove Shopping Center. Attendees can make the short walk across the bridge to the event or take the complimentary shuttle service between the Cove Shopping Center and the beach. Shuttle service will run from 11AM – 5:45 PM, at which time Hillsboro Boulevard and the bridge will be closed to vehicular traffic. Immediately following the fireworks display, the road will reopen and the shuttle service back to the Cove Shopping Center will resume. 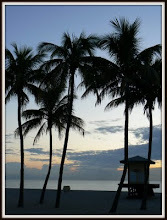 Location: Fort Lauderdale Beach, Fl off A1A and Las Olas Boulevard. 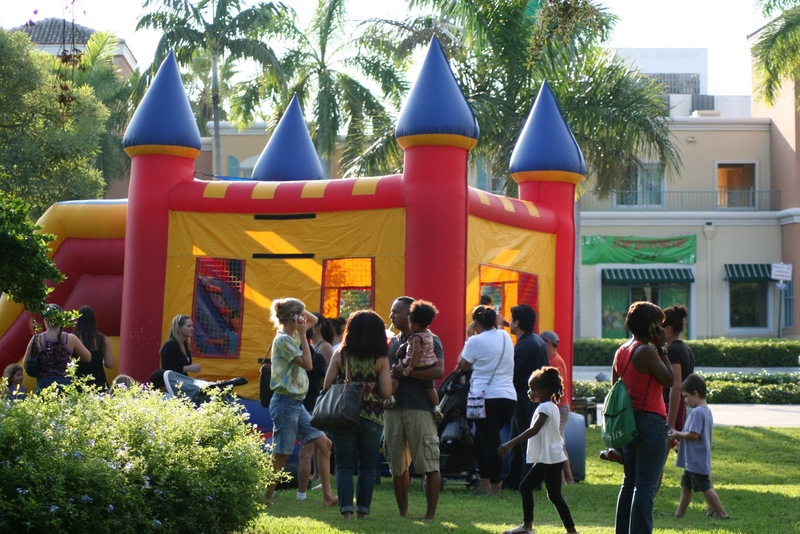 Event Details: Kids will have a blast with a bounce house, arts and crafts, pony rides, music and balloon animals from 4-8 p.m. at Village at Gulfstream Park. Fireworks show is at 9 p.m. When: Monday July 4th, 2011 10 a.m. - 9 p.m. Location: The Parade starts 10 a.m. on Bougainvillea Drive behind Town Hall, Lauderdale-By-The-Sea and ends at Town Hall. Event Details: 10 a.m. 4th of July parade with grand marshall Mike San Miguel. Noon - 4 p.m.: Two giant waterslides for kids on the beach at El Prado and in El Prado Park. Steel drum band entertains. 12:30 p.m.: Hands-on fire equipment demonstration for kids in the El Prado parking lot. 1 - 3 p.m.: Ally Oop Skim boarding demonstration on the beach in front of El Prado Park. 1 - 3 p.m. : Sand castle competition for kids on the beach at El Prado Park! Free hot dogs and watermelon. 3 - 3:30 p.m.: VFD full sea rescue demonstration with BSO on the beach in front of El Prado Park. 4 p.m: At Burgerfi, there will be an ice cream eating contest for kids followed by a burger eating contest for adults. When: Monday July 4th, 2011 - 1:00 p.m. - 10:00 p.m. Event Details: the celebration begins with children's fun and games at Charnow Park featuring Games Master and DJ Tony Tiru from 1:00 p.m. until 6:00 p.m. Musical entertainment at the Hollywood Beach Theatre featuring country music with the Rodeo Clowns followed by Galo's Tribute to Santana from 6:00 p.m. until 10:00 p.m. A twenty minute dazzling, patriotic star-spangled spectacular fireworks display will light up the evening sky over the Atlantic Ocean, beginning at 9:00 p.m.
To enjoy maximum relaxation park at a downtown parking garage and ride the FREE Fourth of July Express bus to Hollywood Beach. Normal downtown parking rates apply. Parade 9 a.m. - 11 a.m. . Location: The Parade starts at Margate Blvd from 76th Avenue to 58 Avenue in Margate. Fireworks at Margate Blvd & 441. Fireworks Show At 9:00 P.M. Event Details: The event includes rides, live musical entertainment, food booths and a phenomenal fireworks show. Festival grounds open at 6:00 p.m.
Childrens area which includes free rides will be opened between 6:00 p.m.- 8:30 p.m.
Bring your blankets and lawn chairs. No coolers, pets or fireworks permitted. Event Details: Independence Day parade, beginning 9 a.m. at West Broward Boulevard and Northwest 46th Avenue, traveling west to Northwest 69th Avenue, turning right onto 73rd Avenue, and ending at City Hall. Event Details: Fireworks begin promptly at 9 p.m. Blankets and lawn chairs are welcome. Please refrain from bringing personal fireworks, glass containers, alcohol and pets. When: Monday July 4th, 2011 4 - 5 p.m. Location: Outdoors at the Bank Atlantic Center in Sunrise, FL. Event Details: Live music by Gin Blossoms, family fun zone, food and beverage vendors,. Event Details: Kids area, live band and fireworks display. arade begins promptly at 10:30 am at the corner of Town Center Blvd. and Three Village Road, continuing east on Three Village Road to Bonaventure Blvd. heading south briefly to Bell Tower Lane, and winding through Town Center to the heart of Main Street. When: Tuesday July 5th, 2011 11 a.m. - 12 p.m. When: Tuesday, July 5th, 2011 10 a.m. When: Wednesday, July 6th, 2011 10 a.m. When: Friday, July 8th at 5 p.m. When: Friday, July 8th 8 p.m. When: Saturday, July 9th 4 - 5:30 p.m. Event Details: The “World Famous” Low Tides a five piece band know for being the beach party band while playing music from the 60’s & 70’s. When: Tuesday July 12th, 2011 11 a.m. - 12 p.m.
July 5th event: Pony Pal Pandemonium: Coloring contest, bounce houses, prizes, music and more. When: Tuesday, July 12th, 2011 10 a.m. When: Wednesday, July 13th, 2011 10 a.m. When: Friday, July 15th at 5 p.m. When: Friday, July15th 8 p.m. Location: Parade: Starts at North 35th Avenue and Taft Street, Hollywood FL - traveling South to Joe DiMaggio Children's Hospital. Dedication Ceremony: Main stage at the new Joe DiMaggio Children's Hospital entrance. Open House and Block Party: On the Joe DiMaggio Children's Hospital Campus. Event Details: Celebrate the opening of South Florida's newest freestanding children's hospital with music, food, a parade, giveaways and more. When: Saturday, July 16th 4 - 5:30 p.m. Event Details: “Orange Sunshine” tributes music by the year, not the band. Hear the sounds of the years 1965 & 1967. Three part vocal harmonies shine as you listen to the Monkees, Hendrix, the Rascals & Cream! When: Tuesday July 19th, 2011 11 a.m. - 12 p.m. When: Friday, July 22nd at 5 p.m. When: Tuesday, July 19th, 2011 10 a.m. When: Wednesday, July 20th, 2011 10 a.m. When: Friday, July 22nd 8 p.m. When: Saturday, July 23rd 4 - 5:30 p.m. Event Details: The Smugglin Yo Yo’s play songs spanning the 70’s, 80’s and today to include Reggae, Pop and Rock N Roll. When: Tuesday July 26th, 2011 11 a.m. - 12 p.m. When: Tuesday, July 26th, 2011 10 a.m. When: Wednesday, July 27th, 2011 10 a.m. When: Friday, July 29th at 5 p.m. When: Friday, July 29th 8 p.m. When: Saturday, July 30th 4 - 5:30 p.m. Event Details: Entertainment to be determined.